A horror game without any jumpscares. Relies on music, puzzles and narrative. itch.io Community » itch.io » Questions, Ideas & Feedback · Replied to leafo in Am i supposed to get an email from itchio after releasing my game? Yes! Last time i published a game i got an email which confirmed that it was published, but 2 days ago when i published another game i got no notifications which made me worry. Also, do staff premoderate games and if so how long does it take? Thanks. itch.io Community » itch.io » Questions, Ideas & Feedback · Created a new topic Am i supposed to get an email from itchio after releasing my game? As the title says, am i? I didnt get any notifications after setting my game's page to public. How long does the premoderation take? itch.io Community » Game Development » Release Announcements · Created a new topic Club Clear : Fight corrupt school teachers and members in a bullet hell fashion! Hello all! 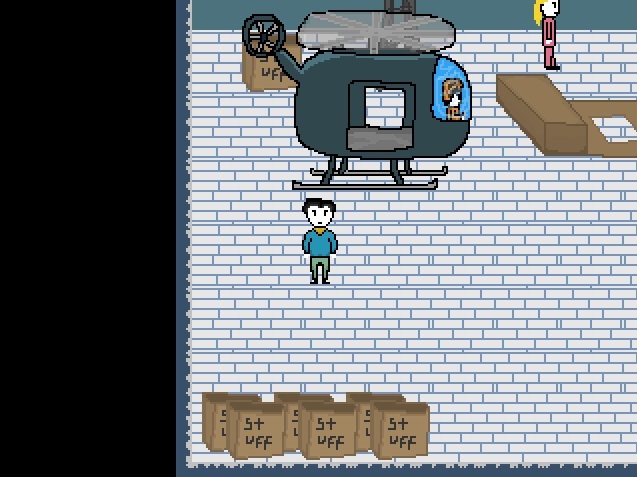 I finally released the demo of my game which I've been working on for months, if not a whole year. A game where you fight corrupt school club teachers and members in a bullet hell fashion! For now you can fight 3 school clubs: Literature, Debate and Drama. These clubs all have unique characters and fights, which have unique moves and attacks. It's pixel art, but not in a traditional way! I designed the characters in a weird way to get some attention to it, so i hope i did well. You'll dodge and fire projectiles, whoever's health drops to 0 loses. You must dodge carefully, or you're done! In the literature club, you'll carefully choose your words. And as we all know, words are deadly, which's why you can use them as a weapon! I should let the pics and gifs do the talking. And thank you for your attention! This amazing looking, tense game is unfortunately full of bugs, at least for me. Girl getting stuck in places, the dog teleporting, Boy chasing me like a psychopath without saying anything. Also, I never got to open any doors to anyone because of the bugs. I can't play it properly. It is fixed but now "Unable to find file Graphics/Titles/okladka1" is the new problem. Introduction takes WAY too long. I was , without an objective, running from room to room, clicking on every object on my way, just in case some progression may happen. I got jumpscared, felt lost and kept looping around the place before things started and game became good. Maybe you should try to always keep an objective (or at least a reason to roam) obvious for the player. I think the atmosphere was very good. i get an error saying "RGSS-RTP Standart not found"